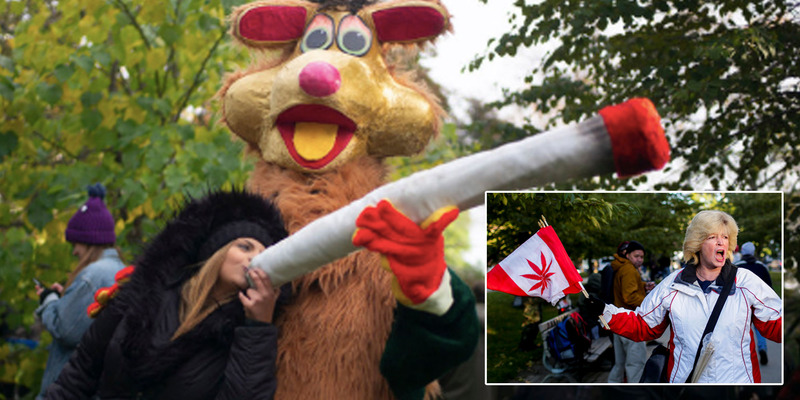 Ian Willms/Getty Images/REUTERS/Carlos Osorio/Business InsiderPeople gathered in Toronto’s Trinity Bellwoods Park for a ‘smoke out’ on Wednesday. 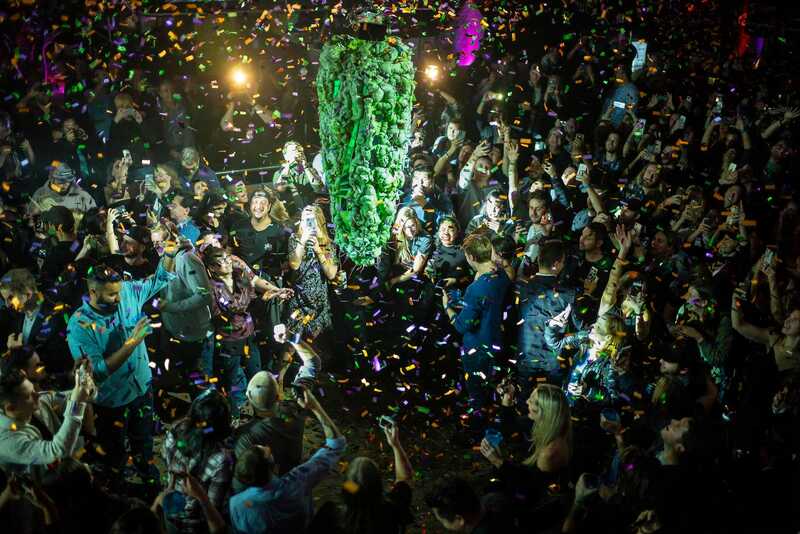 Canada became the first G7 country to legalise marijuana sales nationwide on Wednesday. The country is the second in the world, after Uruguay, to legalise the drug for all adults. 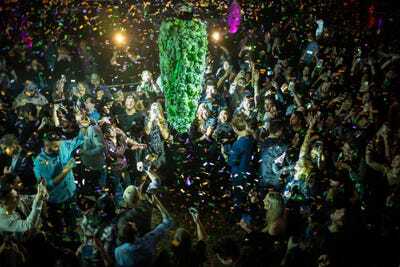 People gathered in a concert venue in Toronto to watch the ‘bud drop’ at the stroke of midnight. The bill legalizes marijuana, but leaves it up to each province to set age limits and decide how to sell it. Some provinces, like Ontario – Canada’s most populous province and financial center – don’t have physical stores. People celebrated on the street…. … and on their bikes.